Don’t just seize the day. 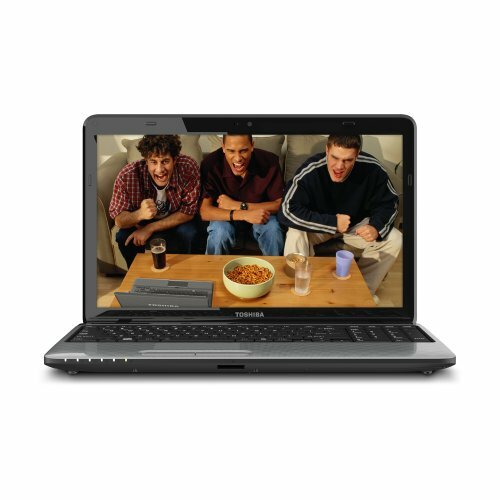 Make the most of every moment with the 15.6″ Satellite L755 laptop, offering famous Toshiba quality, value and style, plenty of power, plus room to multitask, study and play. Featuring a generous 15.6″ diagonal HD display, an advanced sound system, the latest multicore processors, plus lots of memory and storage, this laptop is made for those who demand more: namely, looks and performance to get the job done, and style to fetch a few admiring glances. They’ll be able to connect face to face at wireless hotspots, expand their options with a wide range of ports and enjoy more convenient computing, thanks to Toshiba “Smart” Features. When you’re picking a PC, choose one that will unleash your imagination and strut your style-not cramp it-reach for Toshiba’s Satellite L755 laptop.